You are here: Home / MyPR / Telomeres: The anti-ageing break through? 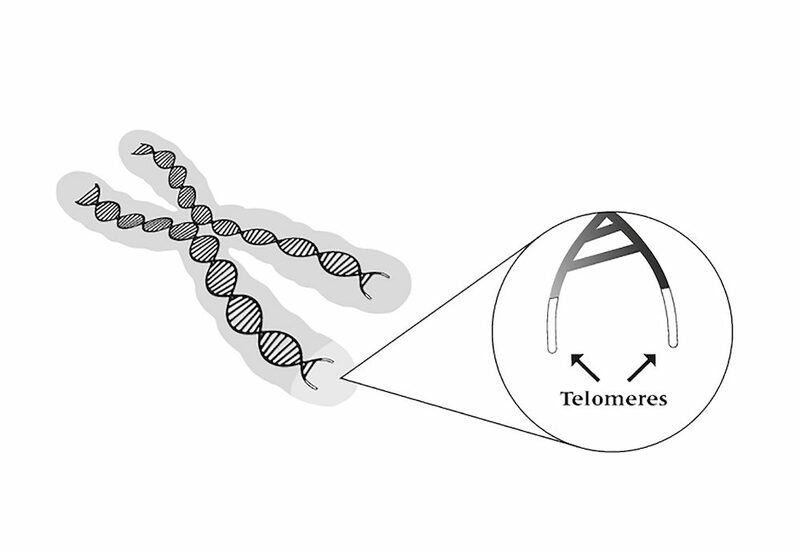 Telomeres: The anti-ageing break through? You don’t have to look far to see how afraid the human race is of ageing. The anti-ageing market is a lucrative business, with hundreds of thousands of products, anti-wrinkle creams, remedies, quick fixes and plastic surgery options on the market, and countless laboratories looking for answers in genetics, within molecular and cellular biology, and in biochemistry – all focused on slowing down the aging process, inside and out. According to Stats SA’s 2018 mid-year population estimates, the average life expectancy for South Africans is 64 for males and 71 for females, with less than 1% of the population expected to live past 80 years old. Now latest worldwide research into finding an antidote to ageing, with over 20 000 studies to date, seems to point towards the end of your DNA strands – your telomeres to be exact. The cause, effect and the solution to the speed at which you age lies within these spirally chromosomes. Telomeres are the blueprint for the production of new cells in your body and protect the chromosomes housing your all-important DNA. As we age, our telomeres become shorter, which makes them a tangible, biological “measure” of a lifespan. “Think of them like the hard bit at the end of your shoelaces, except these shoelaces are the spirally chromosomes that house your genes. Every time you make a new cell, your telomere length shortens and when you “run out” of sufficient length, the game is over,” says world-renowned nutrition expert Patrick Holford. While the list of factors that speed up ageing is short, they are not easily eliminated out of our lives through conscious decision but rather as a work in progress. “As symptoms of ageing occur, so more drugs are added to the list of daily medication. While effective in emergencies or when things become dire, drugs aren’t tools to keep you healthy or young,” says Holford. Having turned 60 earlier this year and with a keen interest in the topic, Holford was reminded of one of his teachers, Canadian biochemist and psychiatrist Dr Abram Hoffer, who lived to the age of 91, and despite retiring at 88, continued to advise people about their health until two weeks before his death. “He was very careful about what he ate, avoiding sugar and refined foods, and he took a cocktail of vitamins, minerals and essential fats every day,” recalls Holford. • B Vitamins (especially Folate and B12) linked to lower homocysteine levels. “Generally, the higher your intake, the longer your telomeres. Also, multivitamin takers have longer telomeres,” says Holford. • Exploring delicious recipes from the Mediterranean diet. • Incorporating more seeds and nuts into your diet. • Plenty of antioxidant rich foods such as onions, beans, berries, green tea and dark chocolate. “Remember, ageing well shouldn’t become a chore. The whole idea is that the changes you are making should make you feel better now; what you do now will play a big part in what your life is going to be like in 10, 20 or 30 years’ time,” says Holford. For further information on anti-ageing, optimum nutrition, and a healthy lifestyle, visit www.holforddirect.co.za.